Gone are the days when my eldest son's artwork would consist of elephants with 13 legs, strange looking cars and other unknown objects. 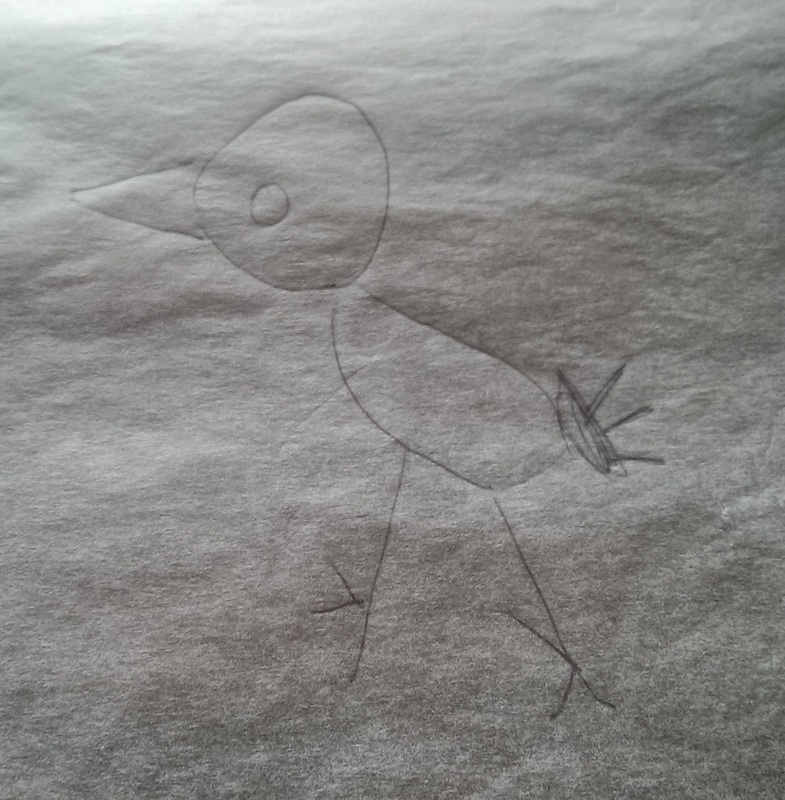 Now my almost 6yr old is drawing cute little pictures that are much easier to interpret. 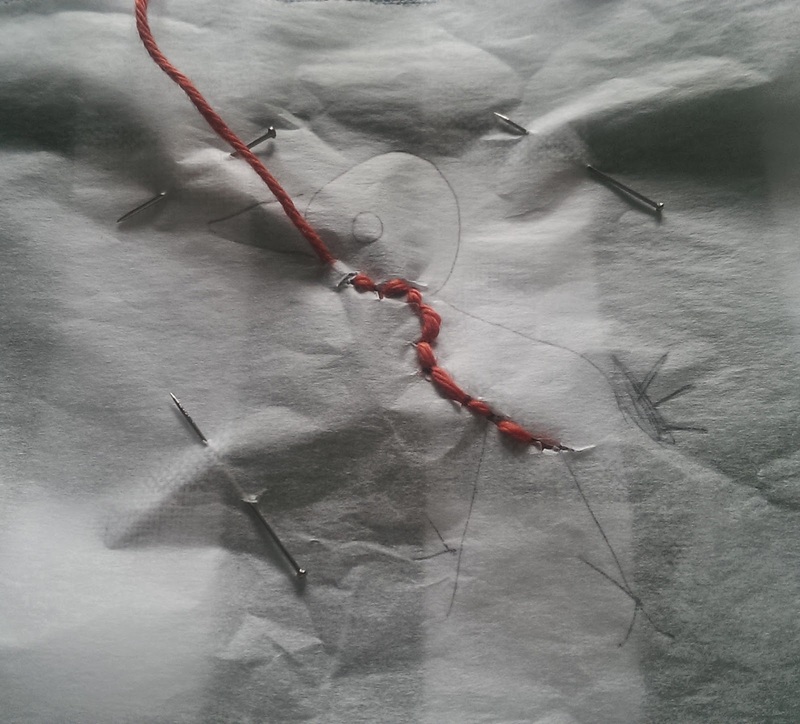 To celebrate that, I thought it might be nice to embroider his drawings onto some of my clothes, as a little reminder of him when he is away at school. Denim always tends to work well with added embellishments, so I chose this mid-length curved hemline denim skirt for my project, which also happens to be one of my regular wear's, purchased at one of my favourite Salvos Stores many years go. 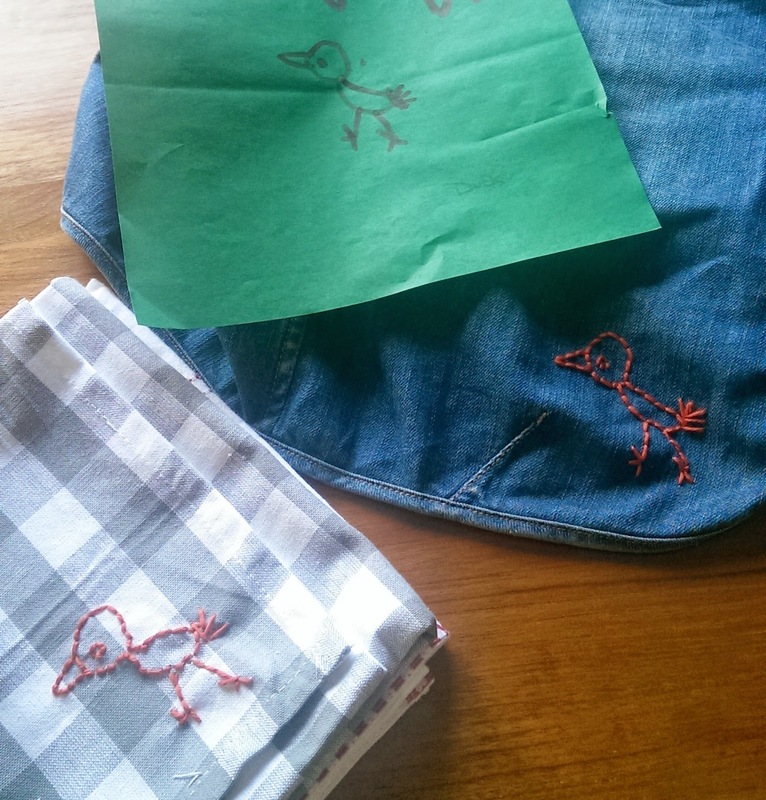 As well as my denim skirt, I have embroidered the same drawing onto a tea-towel as a gift to send to my Mum, which you will see in the pictures below. 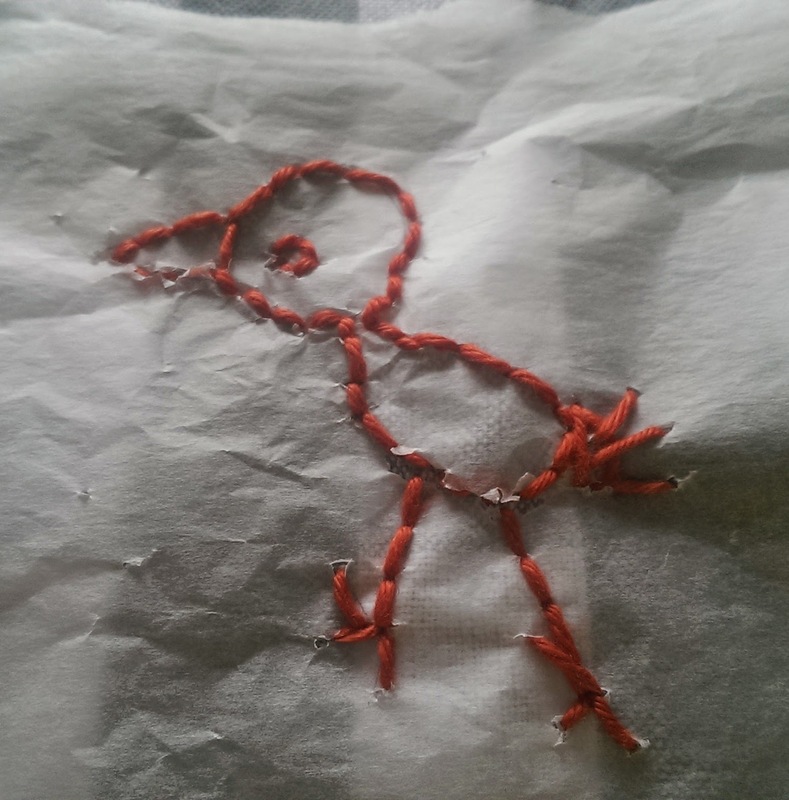 I don't know if there a right or wrong way to embroider clothes, I didn't follow a tutorial, but instead figured out my own way of doing so using baking paper and a pen. Here's how I did it. 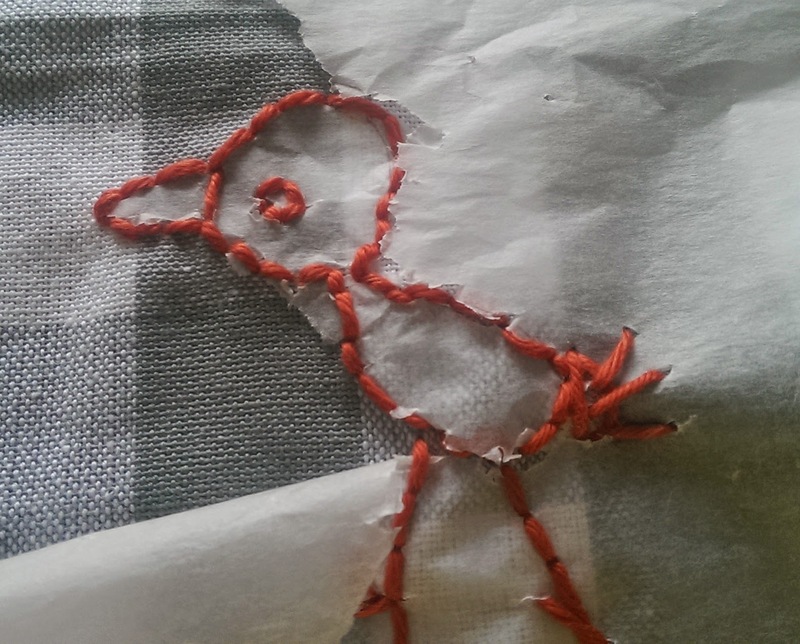 Do you have an alternative method for embroidery? If you do, feel free to share in a comment below. Clever idea to use the baking paper and sew through it!!! Oh this is so darling! I love this idea. What a lovely idea! 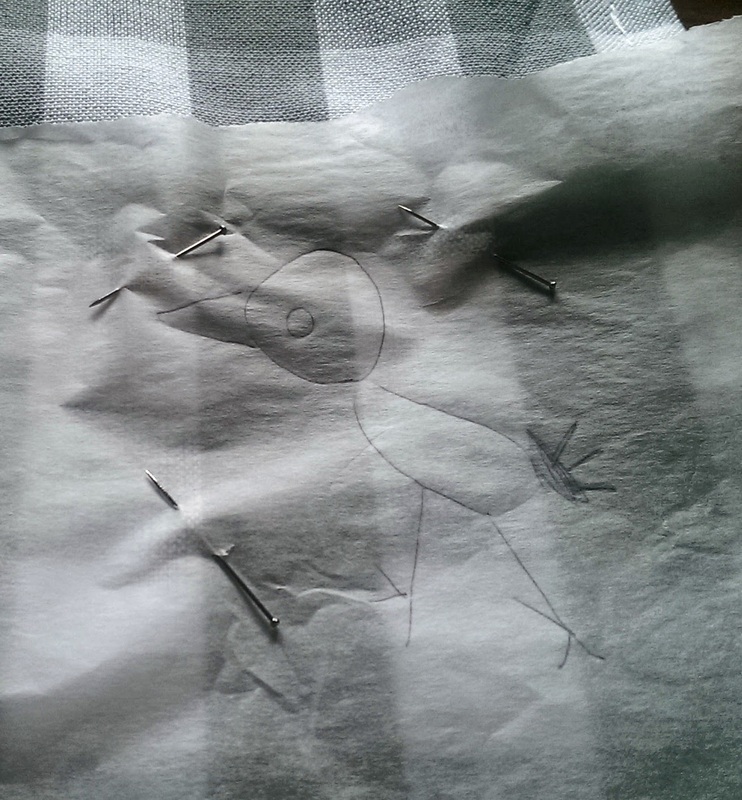 My 2 year old granddaughter is always drawing me pictures and this is the perfect way to 'keep' them. Plus I'm sure she'd be thrilled to see her pictures come to life. Thank you for sharing! Darling embroideries! 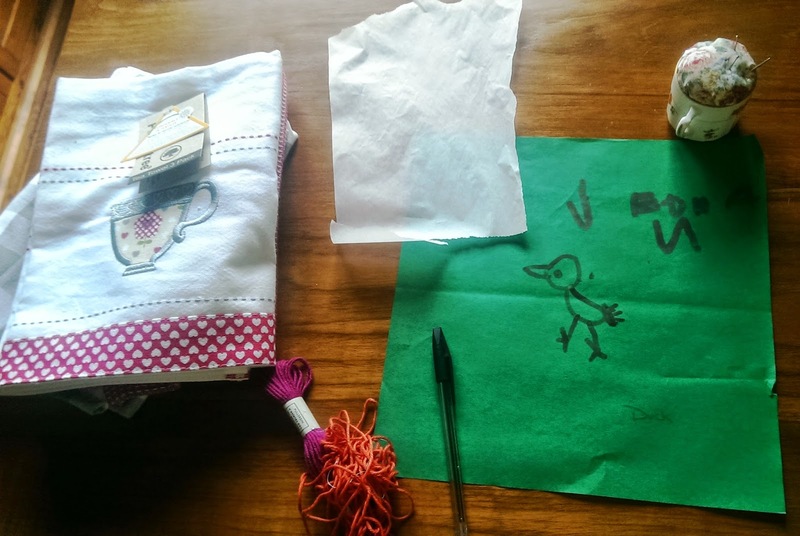 I've used white tissue gift wrap for several years to trace motifs for embroidery. I made a crazy quilt for my oldest grandson and did most of the motifs on it with that method. I enjoy your blog...thanks great recycling ideas. Love this idea! Can't wait to do it myself. Love this idea and it could work on so many things. 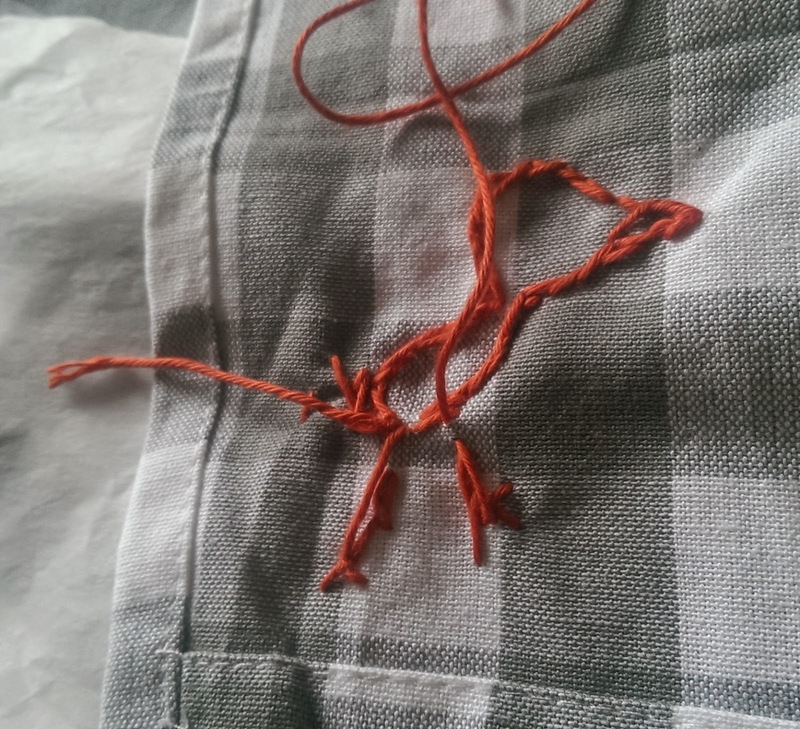 I've not done embroidery before, but what kind of stitch did you use? 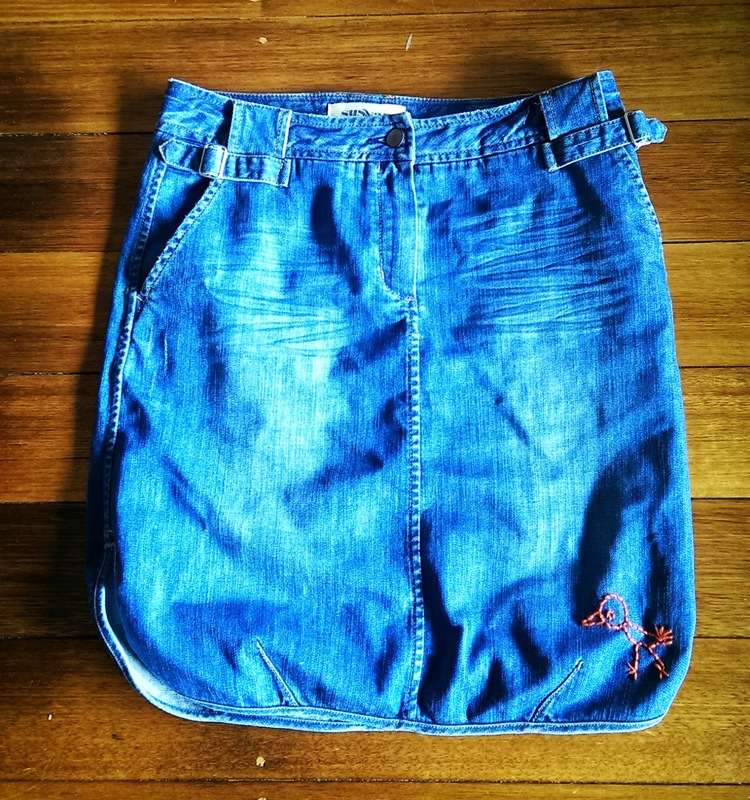 I love the idea of transferring kids art onto their clothing. I've tried using freeze paper too. It has a waxy backing and sticks to the fabric once it's been ironed on. Cute! I've seen ones where cross-stitching aida is used, and then after the cross-stitch is done, pulled out thread by thread with tweezers. I love this idea SO much and am quite fond of a bit of embroidery. Love that skirt too. Nice one!